How to make Coconut chutney recipe ? Coconut chutney recipe is a quick chutney recipe goes well with Idli, dosa, medu vada and dal vada. In a mixer jar add grated coconut, green chili, ginger, curry leaves, tamarind, small onion, roasted chana dal, salt and required water. Close the mixer jar and grind in to semi coarse paste. Open the jar, now check salt and spicy of coconut chutney if you want means add it and grind one spin. Transfer the coconut chutney in a serving bowl. In a kadai add oil when is heated add mustard seeds and it is splutters add Bengal gram, curry leaves fry till it become crispy then pour in to the coconut chutney and mix well. Spicy coconut chutney is ready to serve. 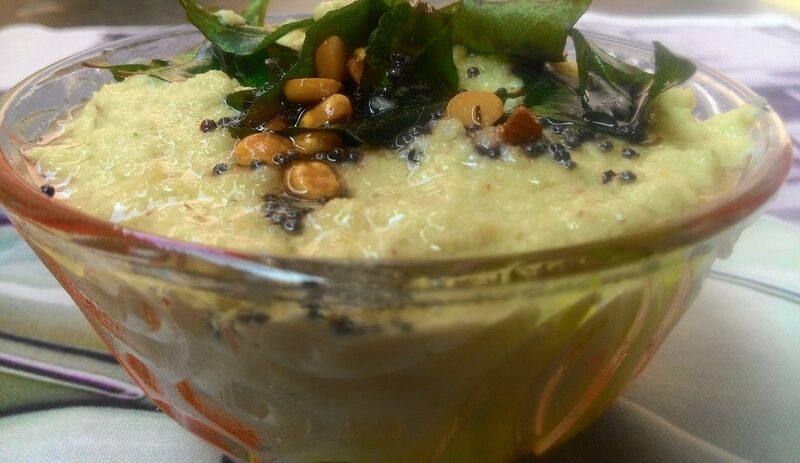 Serve this coconut chutney with hot idly, dosa, Kichadi, ven pongal, upma, poori, chapati and rice also.